We’ve got three launches coming up in the next few days. 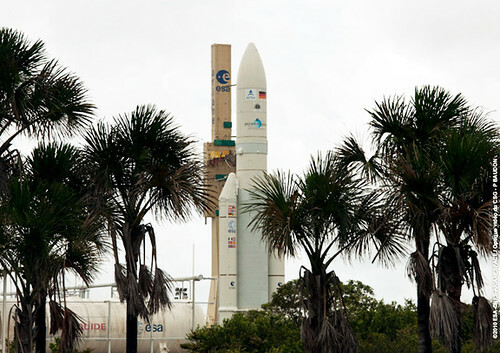 From Europe’s Spaceport in Kourou, French Guiana, an Ariane 5 will launch a dual-payload: ASTRA 3B and COMSATBw-2. From 6:01 p.m. to 6:44 p.m. in Washington, D.C.
From 10:01 p.m. to 10:44 p.m. UTC, on May 21. From 12:01 a.m. to 12:44 a.m. in Paris, on May 22. 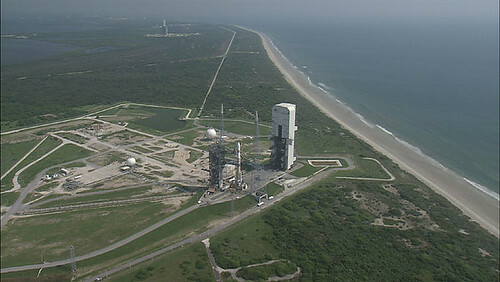 On 20 May 2010 21:58:22 UTC, JAXA’s H-IIA rocket will launch (H-IIA F17) AKATSUKI to explore Venus and the IKAROS solar sail. You can watch that one live, too. 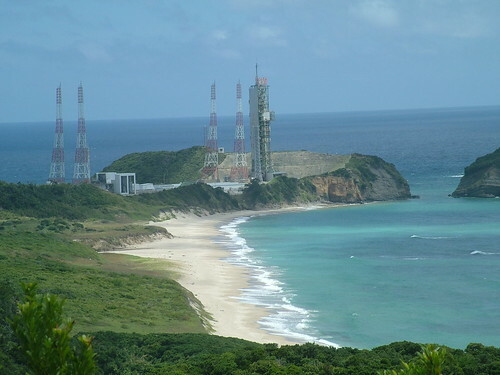 That will be from the Tanegashima Space Center in Japan. The GPS IIF system brings next-generation performance to the constellation. The GPS IIF vehicle is critical to U.S. national security and sustaining GPS constellation availability for global civil, commercial and defense applications. Besides sustaining the GPS constellation, IIF features increased capability and improved mission performance and longevity. This is a mission of several important firsts. Not only is it the first IIF to be launched, this will be the first GPS satellite to ride on the Delta IV launch vehicle. BARS AND TONE: 10:30 p.m.
Go Ariane! Go H-IIA! Go Delta IV! This entry was posted on Thursday, May 20th, 2010 at 5:25 am	and is filed under Around the Blogs, Astronomy. You can follow any responses to this entry through the RSS 2.0 feed. You can leave a response, or trackback from your own site.